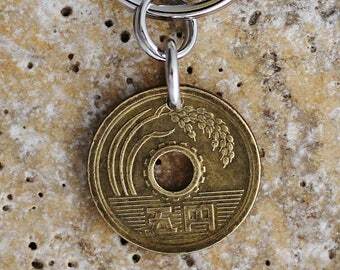 This coin keychain was made using an authentic Japanese 5 Yen coin. I'm not sure of the date. 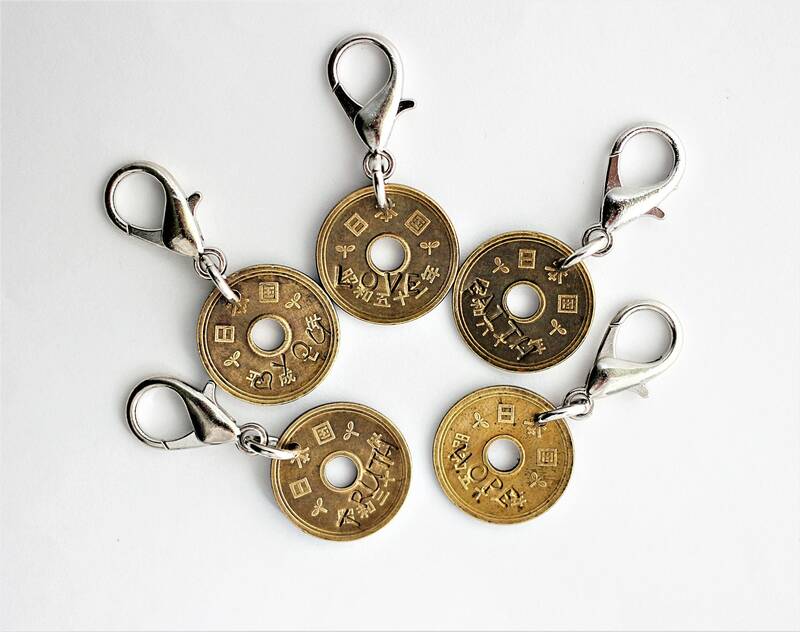 I stamped TRUTH, FAITH, LOVE, HOPE, or 'heart (symbol)' YOU on the coin for a meaningful message. 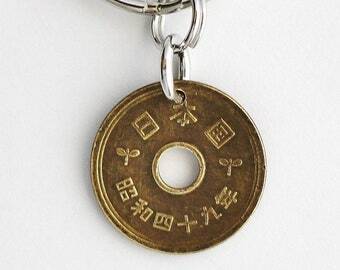 The meaning of the Japanese go-en coin refers to respectful relationships and is carried and exchanged because of this. 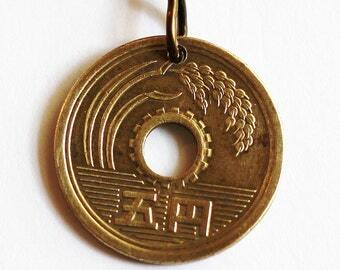 The detail on this coin is very nice with a lovely rice plant on one side. 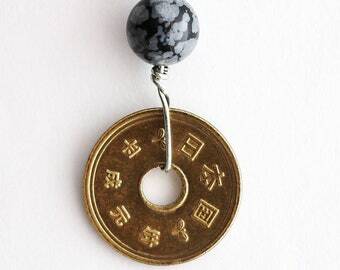 This coin is often carried for good luck too! If you would like a different word, send me a message. The word cannot be more than 5 characters. 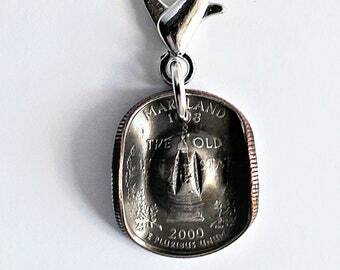 I attached the coin to a large lobster clasp with a sturdy metal ring. This circulated coin is in good condition. 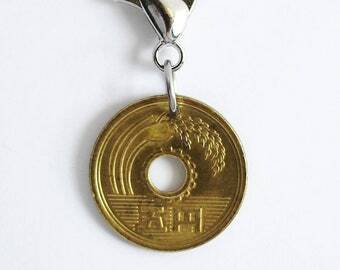 The diameter of the coin is 7/8 inch (22mcm). Including the large lobster clasp, it has a total length of 1 7/8 inches (48mm).